At GSM Industrial, our community is important to us, both within our company and the neighborhoods around us. When the recreational center two miles down the road needed help, we were happy to lend a hand. The Hempfield Rec Center is a community based, non-profit organization that has been a part of our local community since 1978. Each year they serve more than 1,000 children and families, making every effort to provide financial assistance to eligible seniors, children, and families in our area. 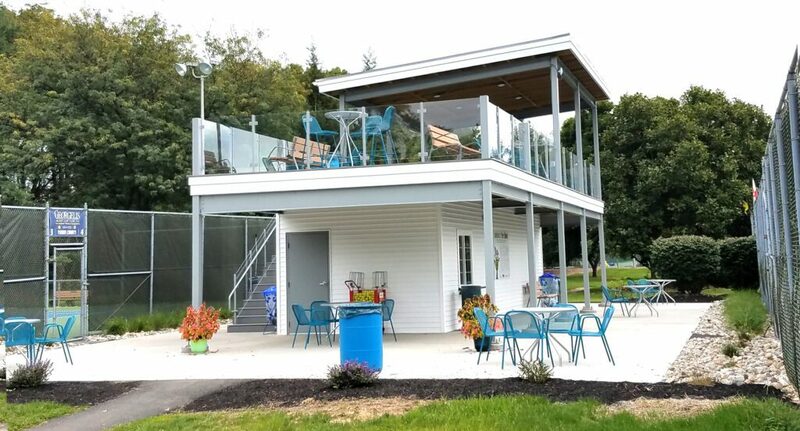 Their tennis pavilion was one of the most popular features of the center but it had become dilapidated and too small for the more than 1,000 tennis members. When word got out that they were looking to rebuild the pavilion, we were right there to help. 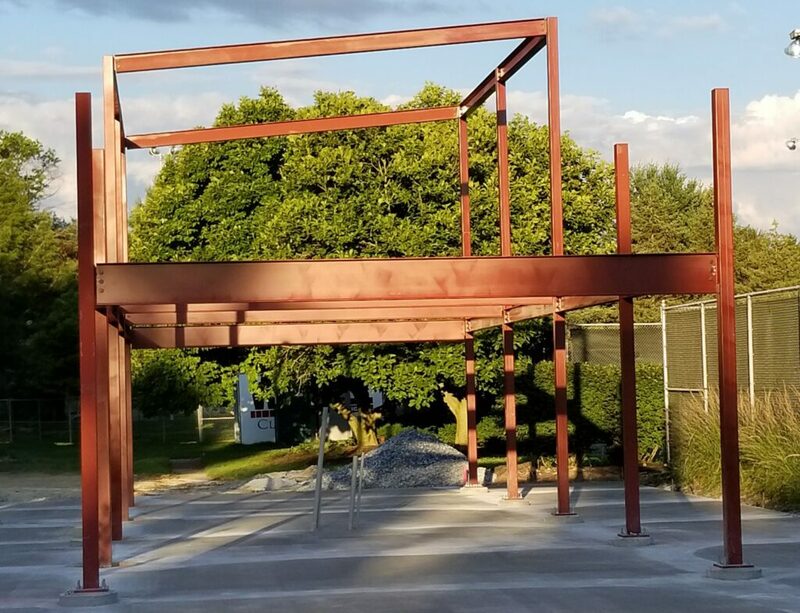 Metals USA donated the Structural Steel components, Kloeckner Metals donated the plate steel components, Fastenal donated all the hardware, and Hirst Engineering donated engineering support. With these components, GSM Industrial fabricated, welded, blasted, and painted all assemblies at our Lancaster shop. In the end, our part of the project involved 8,300 pounds of steel and 85 hours of work. Our community of vendors previously worked together on many projects, which allowed this project to go smoothly and we were able to finish by mid-summer. These donations saved the Hempfield Rec Center thousands of dollars. 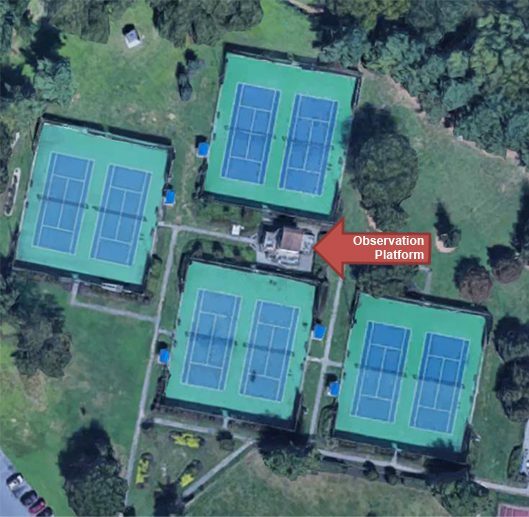 Today, Hempfield Rec is a USTA Premier Provider Facility – just one of 20 facilities in PA, NJ, and DE with this designation. Their tennis program is one of the best in Lancaster County and the surrounding area. At GSM, we were delighted to help with this project. We believe in neighbor helping neighbor through charitable outreach, community institution participation, and projects like Hempfield Rec. Working as a team with other companies to improve the environments we work and live in is a core competency that we are proud to be part of.